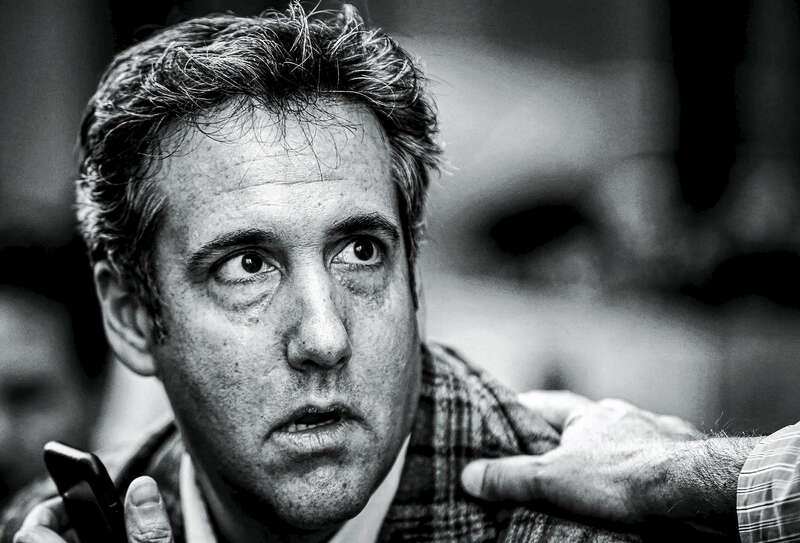 Michael Cohen, U.S. President Donald Trump's personal attorney, takes a call near the Loews Regency hotel on Park Ave on April 13, 2018 in New York City. Following FBI raids on his home, office and hotel room, the Department of Justice announced that they are placing him under criminal investigation. All photographs and text contained on this site are protected by United States and international copyright laws and may not be reproduced, distributed, transmitted, displayed, published or broadcast without the prior written permission of Yana Paskova. By entering this site, you are accepting these terms and conditions.